A newly described fossil of an extinct mammal relative — and her 38 babies — is among the best evidence that a key development in the evolution of mammals was trading brood power for brain power. 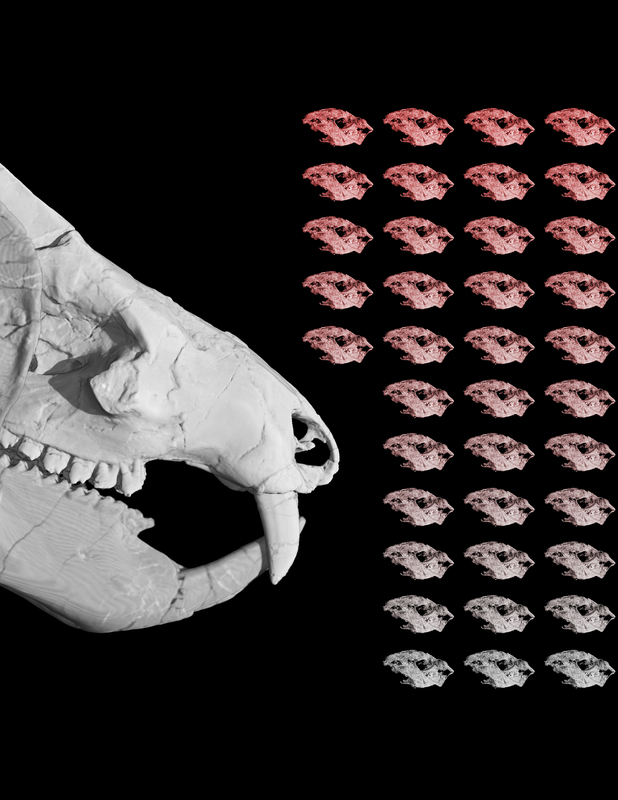 A figure representing the 38 Kayentatherium babies found with an adult specimen. 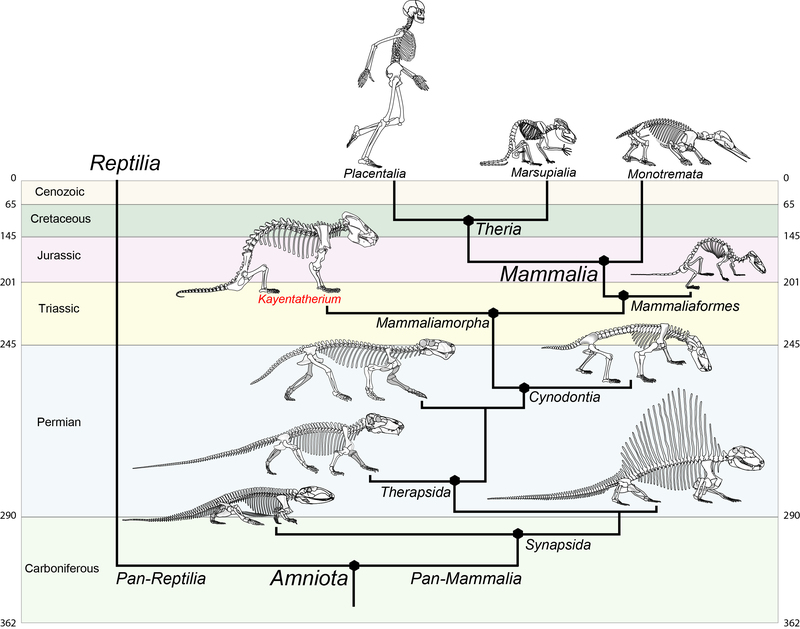 They are the only known fossils of babies from an extinct mammal relative that lived during the Early Jurassic. Eva Hoffman / The University of Texas at Austin. The skull of a baby Kayentatherium. It is about 1 centimeter long. Eva Hoffman / The University of Texas at Austin. A CT scan of the fossil revealed a handful of bones inside the rock. 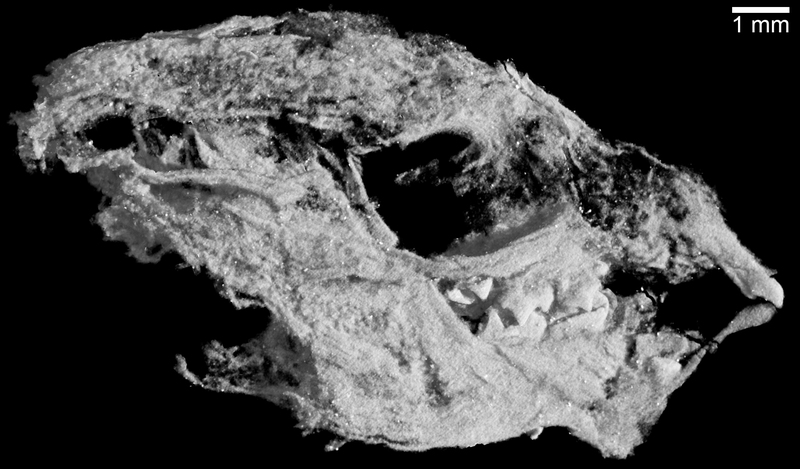 However, it took advances in CT-imaging technology during the next seven years, the expertise of technicians at UT Austin’s High-Resolution X-ray Computed Tomography Facility (UTCT), and extensive digital processing by Hoffman to reveal the rest of the babies — not only jaws and teeth, but complete skulls and partial skeletons. The fossils discovered by the researchers belong to Kayentatherium, an extinct mammal relative that lived during the Early Jurassic. Eva Hoffman / The University of Texas at Austin. “Just a few million years later, in mammals, they unquestionably had big brains, and they unquestionably had a small litter size,” Rowe said. The mammalian approach to reproduction directly relates to human development — including the development of our own brains. By looking back at our early mammalian ancestors, humans can learn more about the evolutionary process that helped shape who we are as a species, he said. “There are additional deep stories on the evolution of development, and the evolution of mammalian intelligence and behavior and physiology that can be squeezed out of a remarkable fossil like this now that we have the technology to study it,” Rowe said.